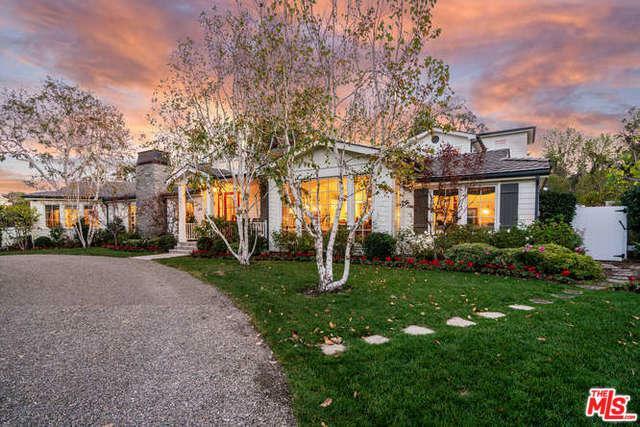 SOPHISTICATED FUSION OF TIMELESS CAPE-COD ARCHITECTURE & ELEGANT MODERN DESIGN.NEWLY COMPLETEDEQUESTRIAN ESTATESITUATED ON NEARLY 1.5 PRIVATE FLAT ACRES ON ONE OF THE MOST COVETED STREETS IN HIDDEN HILLS . 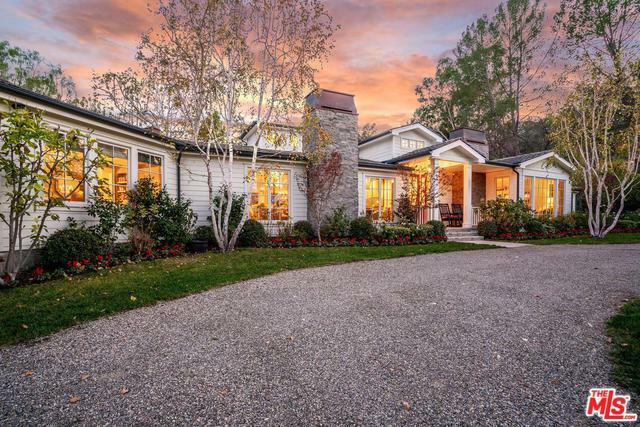 A CIRCULAR DRIVE LEADS TO THIS MOSTLY SINGLE STORYOPEN FLOOR PLAN ESTATE. 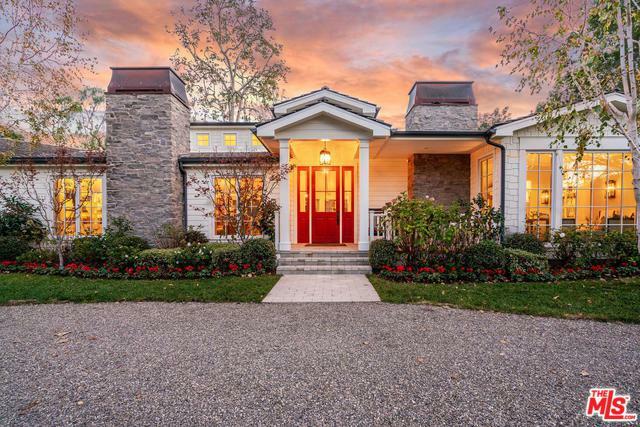 WIDE PLANK OAK FLOORS, WHITE WASHED VAULTED BEAM CEILINGS, CARRARA & CALCUTTA MARBLE,DESIGNER CHANDELIERS, MULTIPLE FIREPLACES & CUSTOM BUILT-INS THROUGHOUT. THE SPACIOUS CHEF'S KITCHEN WITH CENTER ISLAND AND TOP OF THE LINE APPLIANCES OPENS TO A COZY BREAKFAST AREA WITH FIREPLACE & SITTING AREA WHICH LEADS TO THE OPEN DINING & LIVING ROOM WITH WALLS OF GLASS, BRINGING THE OUTDOORS IN. THE SPACIOUS MASTER SUITE WITH INDOOR & OUTDOOR SITTING AREA, FIREPLACE, WALK-IN CLOSET & MASTER BATH IS COMPLIMENTED BY 4 ADDITIONAL BEDROOMS. A WORLD CLASS RECORDING STUDIO WITH SEPARATE ENTRANCE CAN DOUBLE AS QUEST QUARTERS. LUSH, LARGE YARD WITH POOL, SPA, BBQ, FIRE PIT, FIREPLACE WITH SITTING AREA, BARN & GARDEN. Listing provided courtesy of Alex Galuz of Crescent Real Estate Corporation.